Two years ago, we were standing where you are now: gazing at our computer screens, thinking about the future. We were eager to know about the process. So, here are some tips we found useful to help jumpstart you on your way to college! Start having dialogues about reality with yourself, your parents, and your college counselor. The Common App just came out, and you may want to close laptop in dread! As you move through this chapter, it’s important to be upfront with yourself about the process. Do you really want to go to that college your grandfather attended? Will you get in? Can you afford to go? Make sure you have honest conversations with your parents and counselor. You’ll likely need their help to complete the basic information on the Common App, and they can really help you hone your list, find where you’re a fit, and where you can afford to go without racking up tons of debt! Be organized. Start early. You’ve probably heard lots of horror stories about the college process. Desperate students submitting their applications at the last minute and ending up disappointed in themselves. You’re asking colleges to make a big investment in you, so it makes sense to invest plenty of time into your applications. By getting organized now, the entire process will get done on time. By starting your college applications early you’ll be able to enjoy senior year with less stress. Less stress? Sounds like a great plan. Be yourself. Normal is not enough to get into college these days! It seems like everyone has great grades and tons of activities. What sets you apart? You are a unique individual, and it’s important for you to show that! So, write about yourself in your essay. However, this does not give you license to rattle off about your resume again. You need to give colleges a glimpse of your passion and character. For example, both of us dance. But we have different stories about the impact dance has made on our lives. And we’re twins! But our essays really set us apart--even from one another--and colleges loved that! When you let your personality shine through they’ll love you too! Be in regular contact with your counselor. Your counselors know the process a lot better than you do. Their job is to help you utilize all of the resources available to you. So keep them up to date on your college process, and when you’re confused ask them for help! Along with your college counselor, having your “team” (teachers, family, friends) in the loop is very helpful. The college process gives them a chance to get to know you on a more personal level. And in the case of your college counselor, that helps them be the best advocate for you. Be honest. I got a D on my report card. You read that right. And somehow, I was supposed to convince colleges that the D was not a true reflection me. During that same year, my twin sister went to boarding school and my grandparents moved into our house, and I was a wreck! I think that being honest about that very real situation enabled me to get my life back together, and to show colleges I was a good bet despite that one bad grade. The best section to explain personal challenges and how you’ve dealt with them is the “additional information” section. You want to craft your story so colleges see resilience despite failure. Get different perspectives. Writing your college essays is one of the most important parts of the admissions process and the most nerve-wracking. Having advisors you trust--who will also make sure you do the work yourself--is very important. Story2 helped us find topics and write essays that were authentic to us. Having our teachers and friends read our essays gave us the perspective of people who know us and who could add more details to our stories. When we were all done, we asked our English teachers to give a very light final read for grammar. No unnecessary pressures allowed! As you already know, applying to college can be very stressful. Sometimes your parents and friends unknowingly add stress and pressure to your daily life. When we entered high school, our parents pelted us with questions about college. And when senior year arrived, everyone was pestering us about where we were applying. It was too much. We decided not to tell anybody where we applied ED until after we had applied. It saved us from from negativity! We recommend you do whatever it takes to keep twelfth grade stress-free! There are many online resources for you to take advantage of through this process. 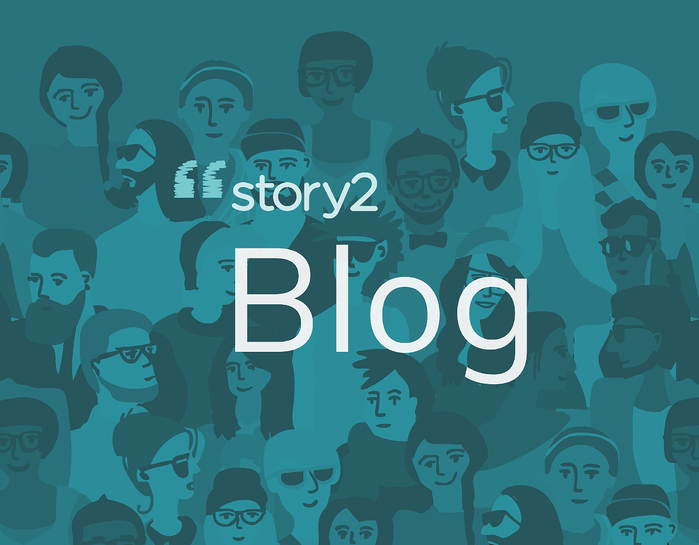 This summer we helped to put the finishing touches on StoryBuilder™ by Story2. StoryBuilder brings the resources we had from an in-person course to students everywhere. You can start your free account here. Kiana Smith is a sophomore at Dickinson College, double majoring in International Studies and Spanish. She is VP of Kingdom Builders and also in the Spanish Club, Community Service Club, Black Student Union, Model UN, Martial Arts, and the Dance Theatre Group (Dickinson’s premier dance troupe). She was selected for the Emerging Leaders and First Year Mentor program. Kiara Smith is also a rising sophomore at Dickinson College, with an International Business & Management major and Chinese minor. She is on the Women’s Varsity Golf team, the Dance Theatre Group, Chinese Club, Model UN, Black Student Union, Anime Club, and Community Service Club. And she was selected for the Emerging Leaders program. Copyright © 2019 Story2. All Rights Reserved.